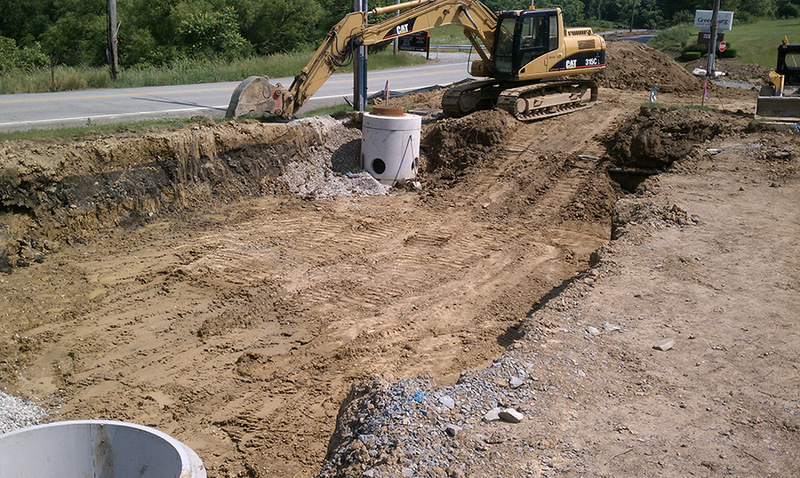 Welcome to our projects page! 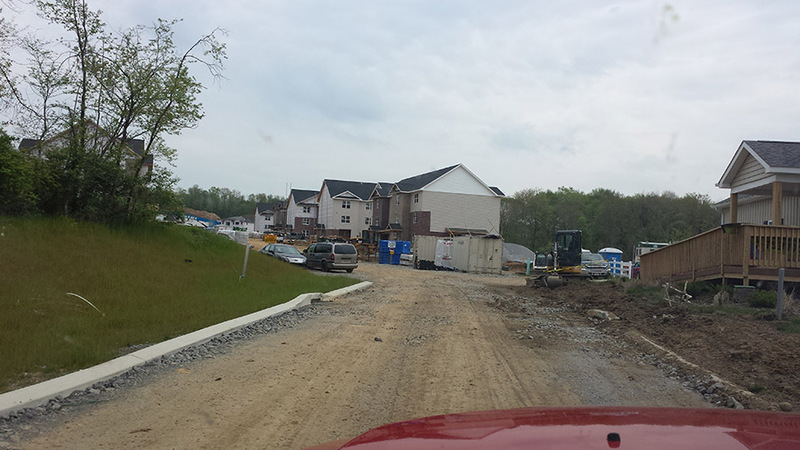 New off-campus housing for students at Slippery Rock University. 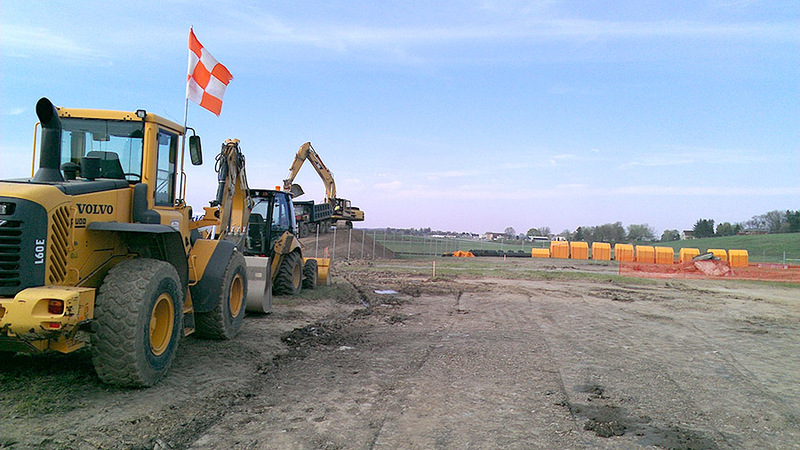 Site excavator Klingensmith Enterprises developed site for one of the largest off- campus housing companies in the nation. 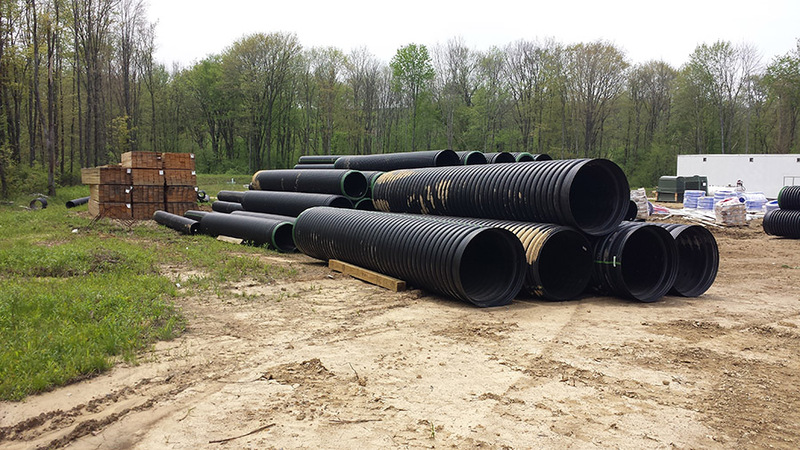 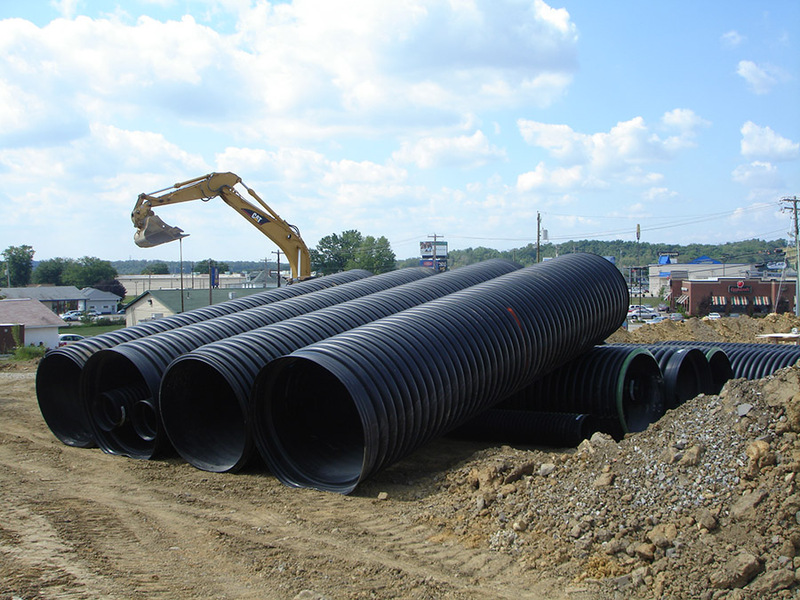 Project consisted of large quantity of Storm & Sanitary Pipe. 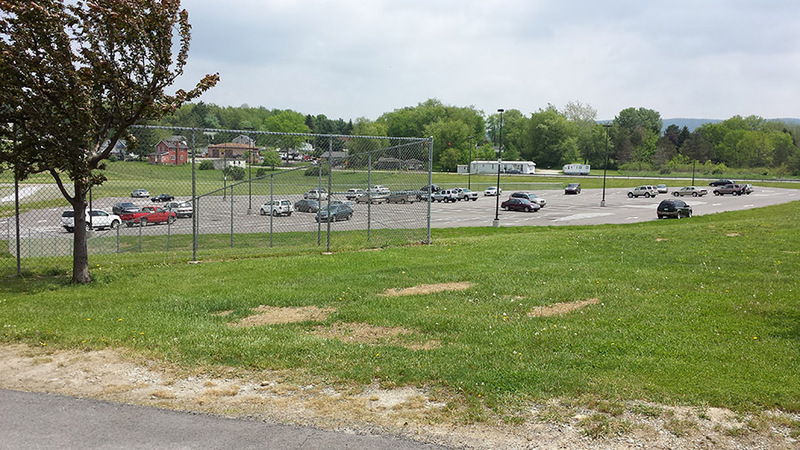 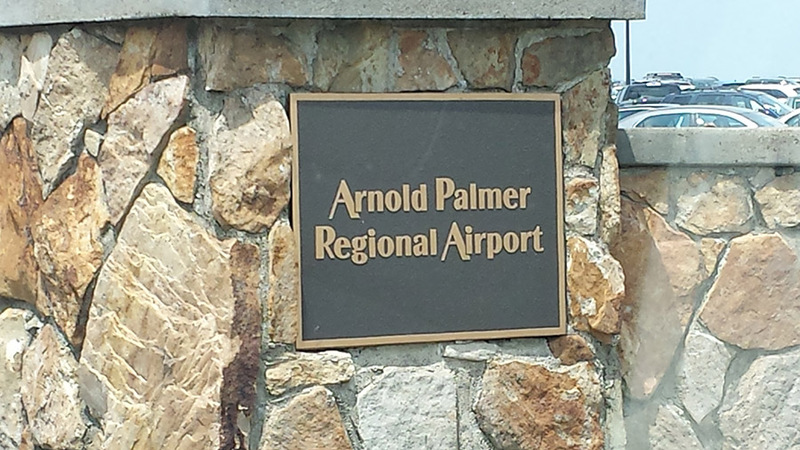 With large expansions at Latrobe Airport the parking lots continued to increase due to the volume of travelers leaving there. 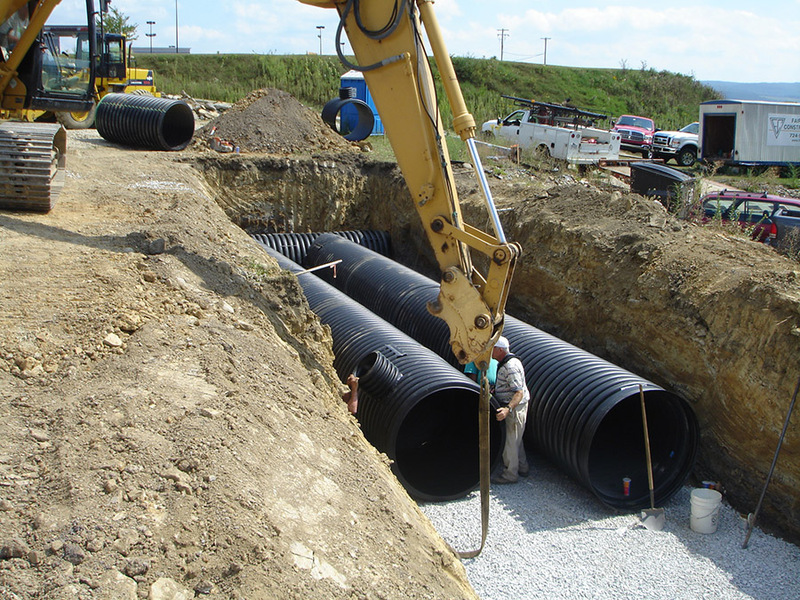 The 2nd phase consisted of a large underground detention system by StormTech installed by Derry Construction. 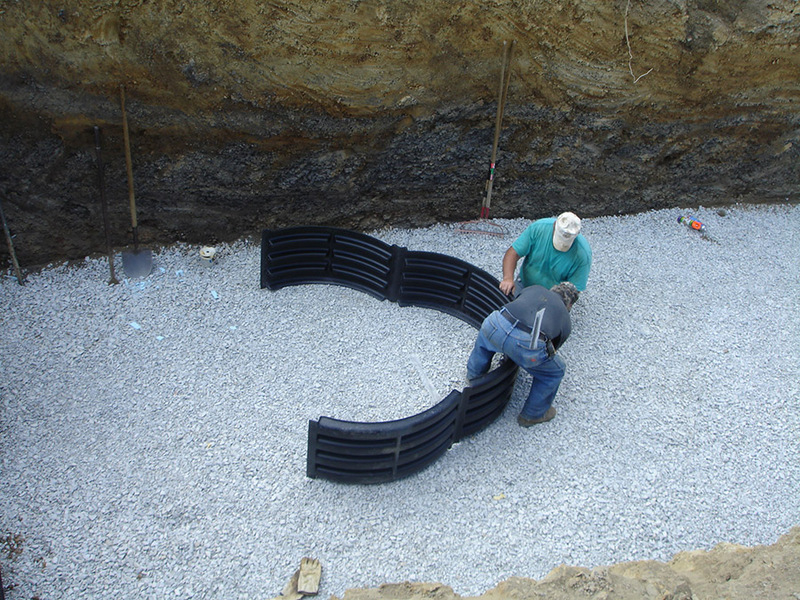 The StormTech detention system allows all storm water to be gathered under the finished paved parking lot to allow for less wasted room with no unsightly open detention ponds. 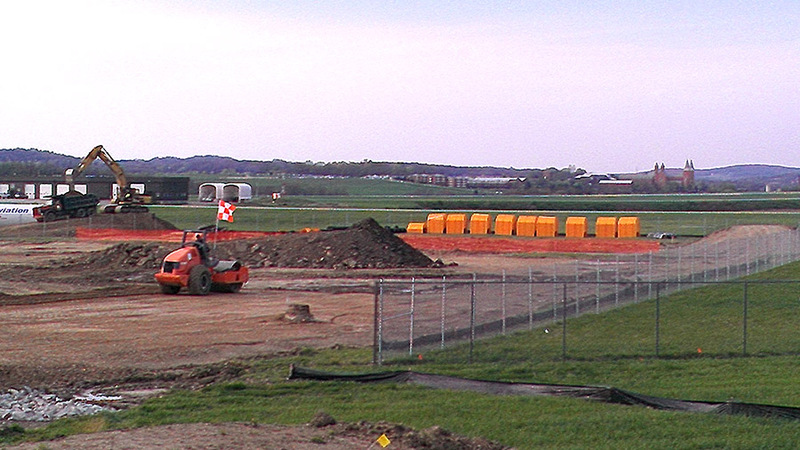 The new Dairy Queen in Mt Pleasant PA was updated by demolition of the old building and a new modern building built. 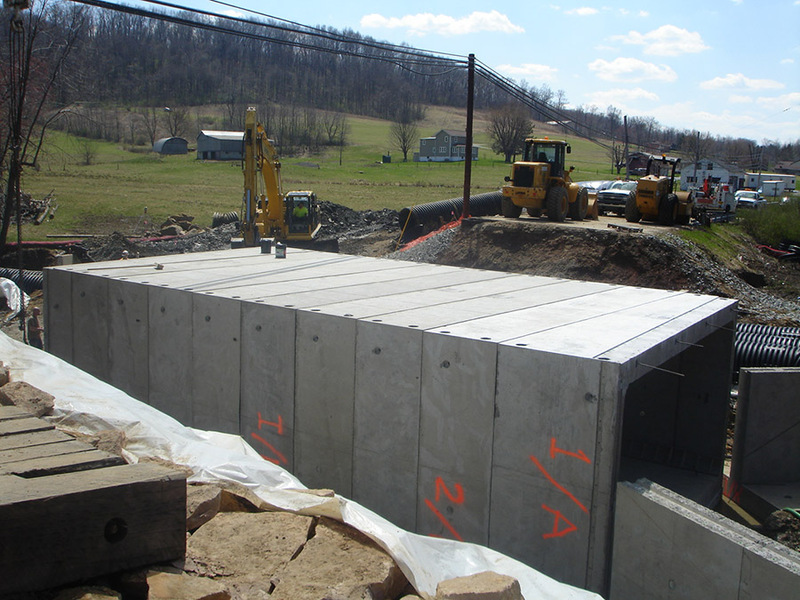 With this addition it required Bob Lynn Const. 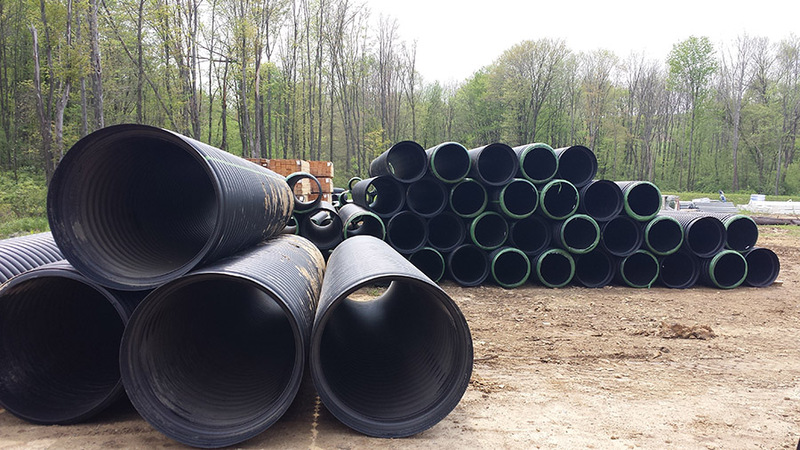 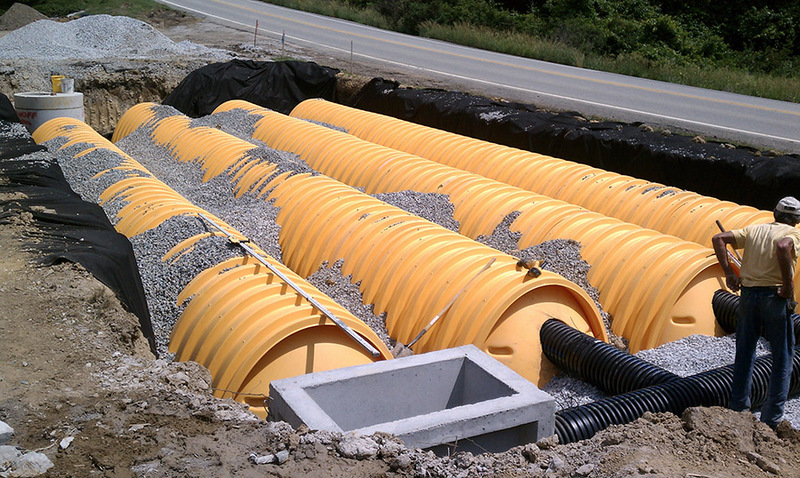 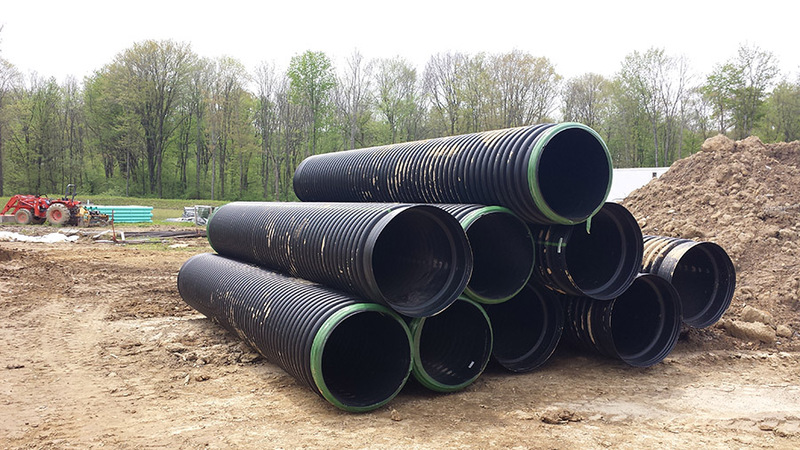 to install an underground retention system using 48” N-12 ADS Storm Pipe to store all the runoff water then slowly release it into the roadway storm system. 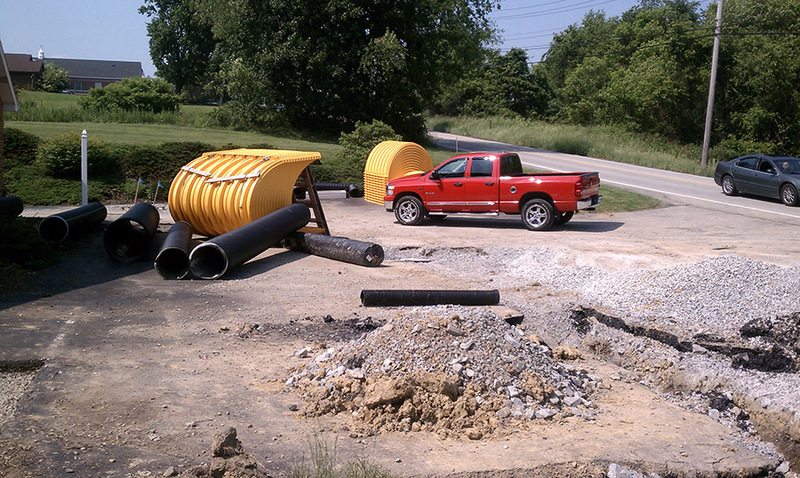 New revised office required an underground detention system with the newer designed MC3500 Chambers by W-Construction. 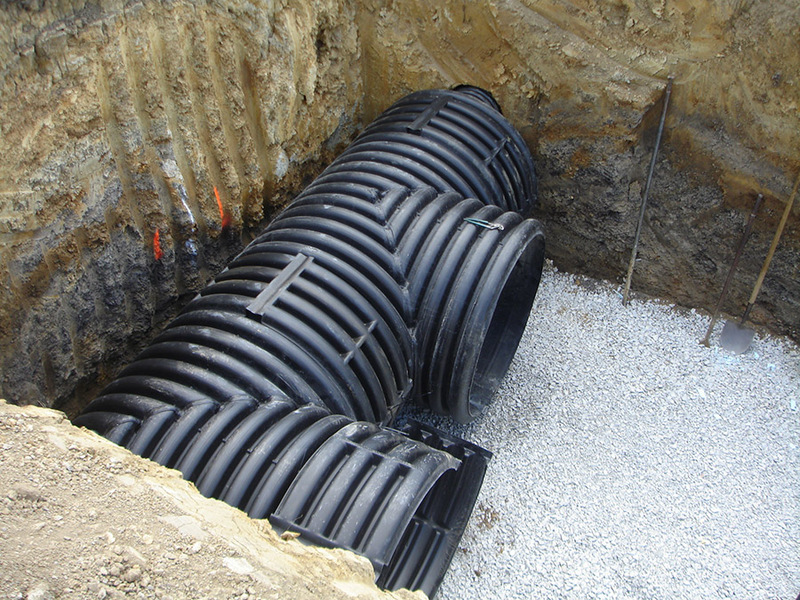 This storm system allows all storm water to be stored underground, beneath the parking lot. 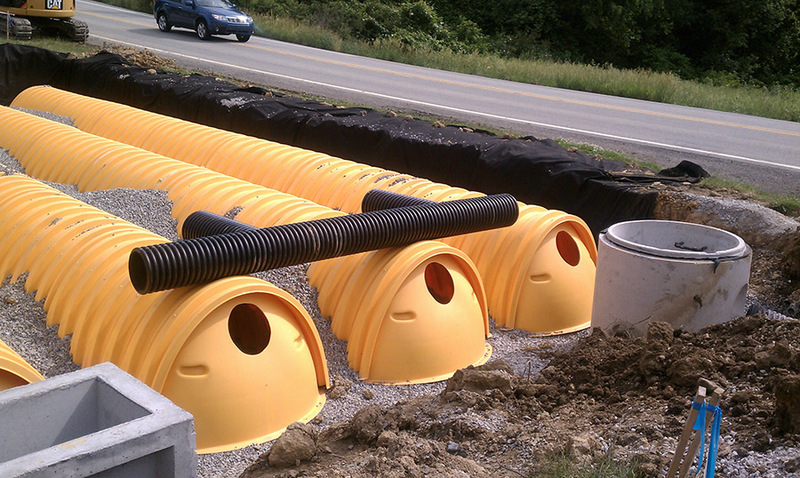 This allows some of the water to absorb back into the ground while the other makes its way to the roadway storm drains. 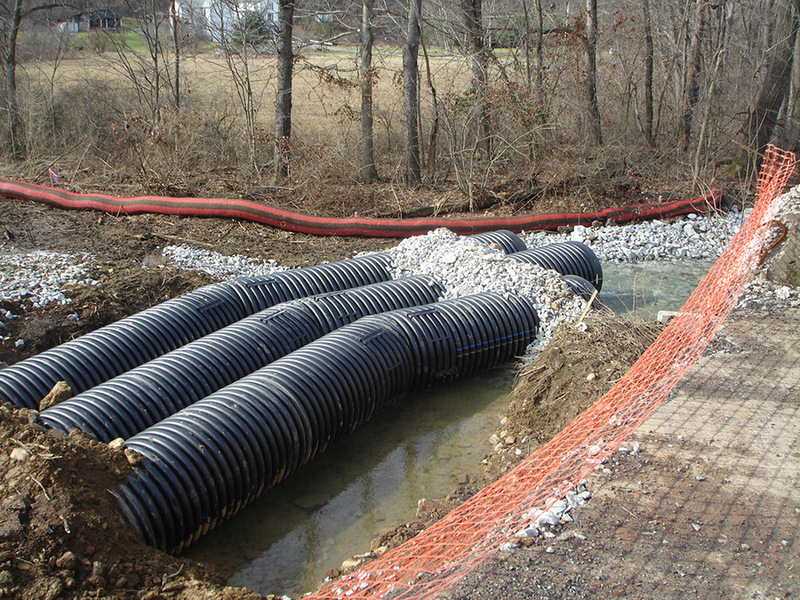 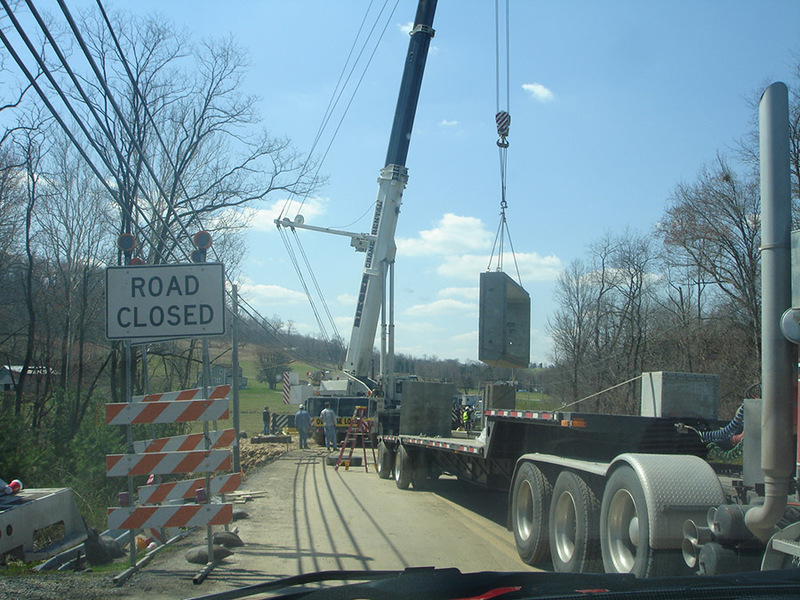 For Donegal Construction to install a new culvert bridge the water needed to be diverted somehow, so a triple run of 48” ADS N-12 storm pipe was installed and 45 degree elbows were used to divert the water around the bridge to allow demolition and installation of the new precast culvert bridge. 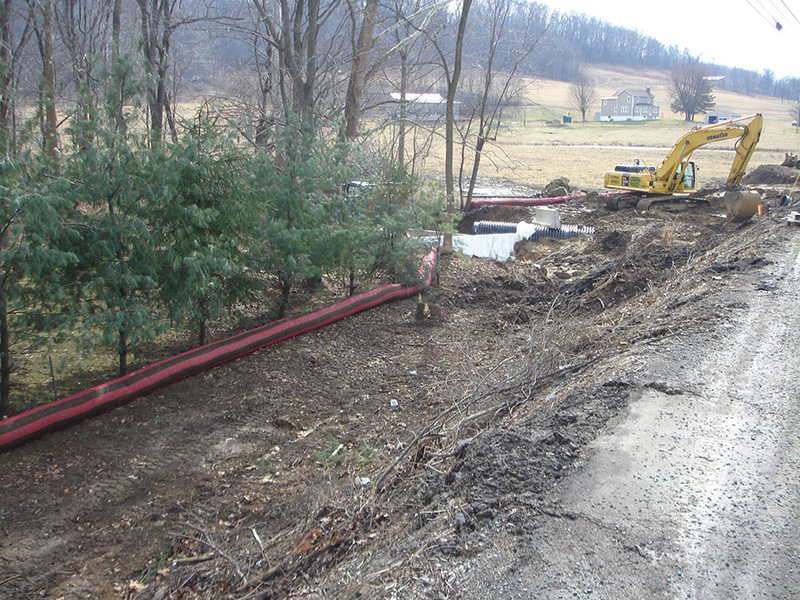 After bridge was complete the pipe was removed and saved to use on future projects.